When I think of Autumn, I can’t not think of cinnamon. I adore cinnamon, ever had it in hot chocolate? Try it. It’s like Autumn in a cup. 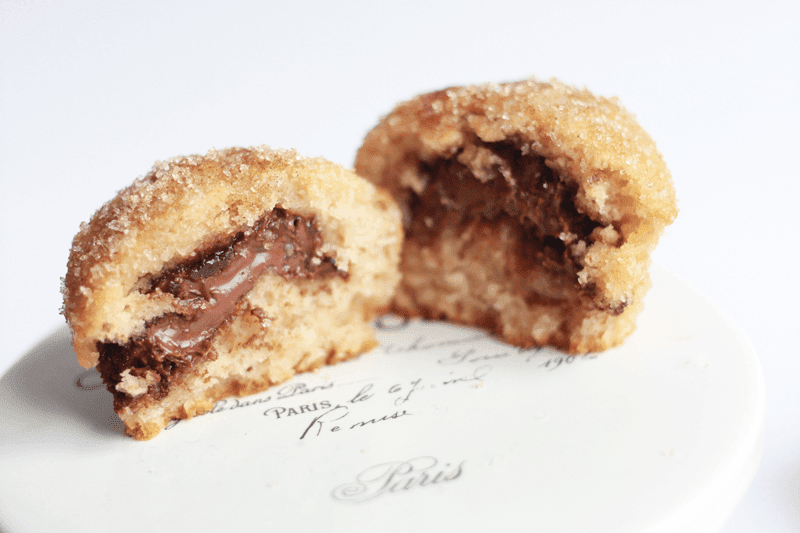 So, it’s only natural that I’d want to combine cinnamon with chocolate, and came across this wonderful little recipe. 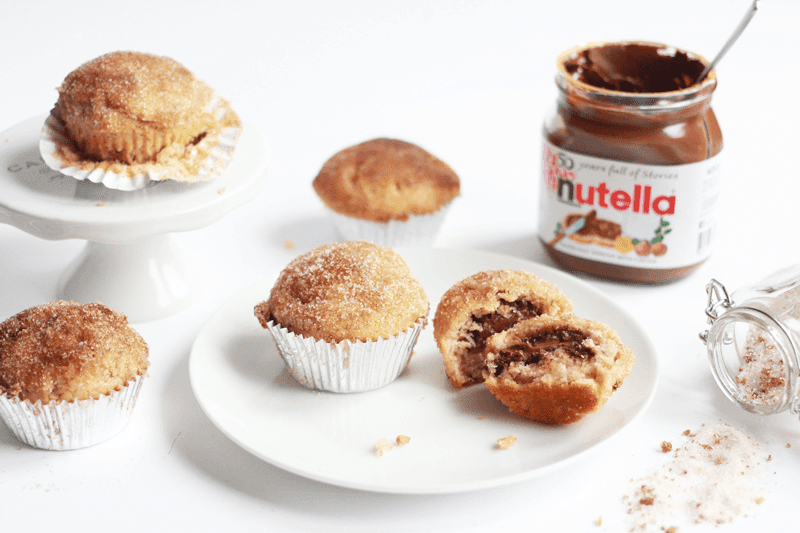 Doughnut-like muffins, covered in cinnamon sugar with a heap of Nutella in the middle, like a little chunk of happiness in every one. They’re ridiculously easy too, very much a ‘throw it all in a bowl’ recipe so you’ll be done from start to finish in about 40minutes. Treat. Yo. Self. Step One | Preheat oven to 425F / 220C and either spray a muffin tin with non stick spray or line with cases. Step Two | Cream together the butter and sugar. Mix in the egg, milk and vanilla. Gently stir in the flour baking powder, cinnamon, nutmeg and salt. Do not over mix- stir until just incorporated. 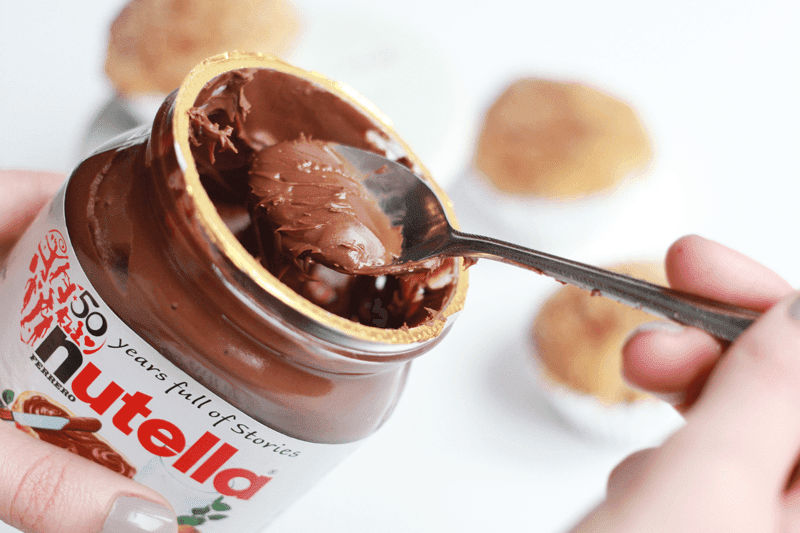 Step Three | Spoon one heap tablespoon of batter into the muffin tin/case, spoon one teaspoon of Nutella ontop, then another heap tablespoon of batter. If the tins are full, that’s ok. Step Four | Bake at 425F / 220C for 5 minutes and then, with the muffins still in the oven, turn the temperatrure down to 350F / 180C and bake for a further 13-17 minutes (mine took 17). Allow to cool completey. Step Five | For the sugar topping: In a bowl, melt the butter in a microwave and set aside. In another bowl stir together the sugar and cinnamon. 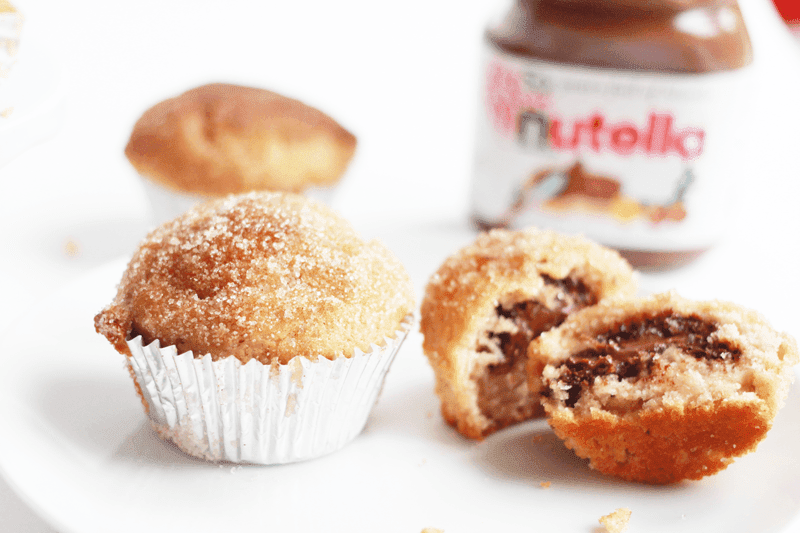 Dip the top of each muffin in the melted butter and then swirl it around the sugar/cinnamon mix, making sure you get a thick coating. Set upright on a rack. 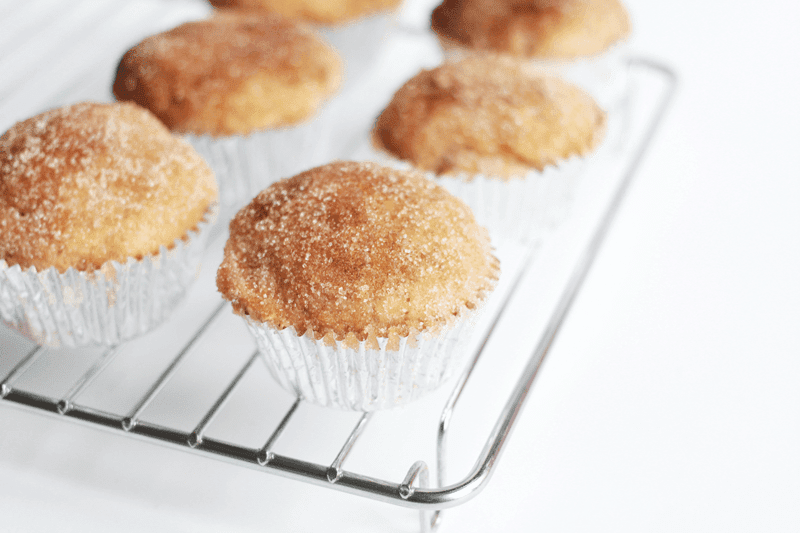 Muffins stay fresh in an airtight container for up to one week and freeze for up to three. There you have it. Quick, delicious and oh so perfect for this time of year. 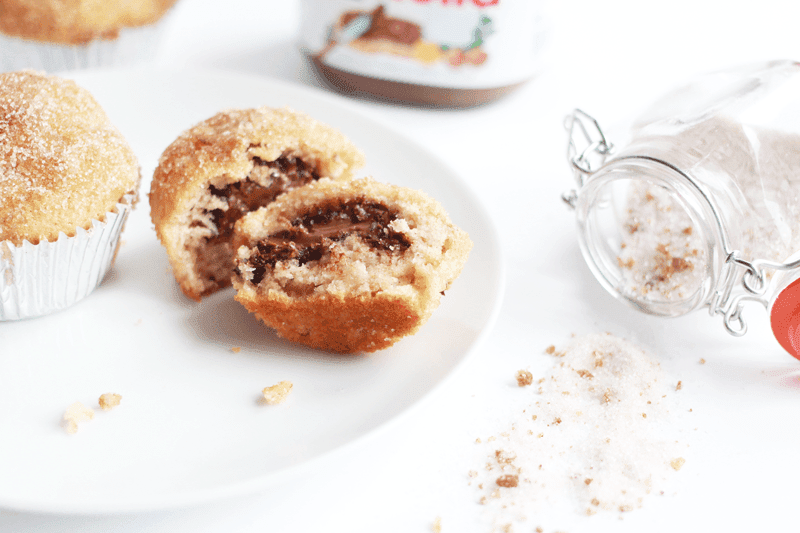 Even if you weren’t a cinnamon fan, I’m convinced this would change your mind (or you know, you could leave the cinnamon out…), they’re just that goddamn tasty. Let me know if you make them or any of my other bakes! My blog sale ends on monday, so grab yourself a new AW coat while you can!